Get a massage at least 2 times each month! Your Body will Love It and you’ll feel more energized. For something on the lighter side, Try a Swedish massage, it’s soothing and relaxing! 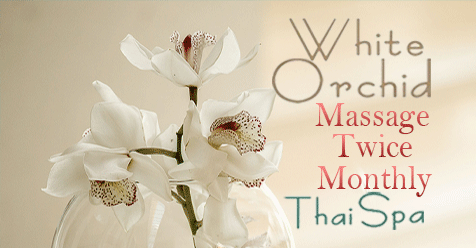 White Orchid Thai Spa in Santa Clarita. Gift Certificate for MASSAGE are available all year.